Multi-Object Spectroscopy in the Next Decade: Big Questions, Large Surveys and Wide Fields. Santa Cruz de La Palma, Canary Islands, 2-6 March 2015. Organised by ING. La Palma and Calar Alto Observatories, Science in the Next Decade Workshop. Madrid, 22-23 March 2012. Organised by ING, CAHA and RIA. Science with the William Herschel Telescope 2010-2020 Workshop. Burlington House, Piccadilly, London, 22-23 March 2010. Organised by ING. Roque de los Muchachos Observatory (ING and NOT), 23 June-5 July, 2008. Organised by the OPTICON and EAS. Asymmetrical Planetary Nebulae IV Conference. Hotel H10 Taburiente Playa, Los Cancajos, La Palma, 18-22 June 2007. Organised by ING and IAC. Proceedings: Romano L.M. Corradi, Arturo Manchado and Noam Soker, 2009, IAC electronic publication. 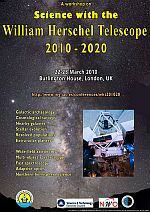 IAU Symposium 241. Stellar Populations as Building Blocks of Galaxies. Hotel H10 Taburiente Playa, Los Cancajos, La Palma, 10-16 December 2006. Organised by the IAC and sponsored and supported by the IAU. Additional support by ING. Proceedings: Alexandre Vazdekis & Reynier Peletier (eds. 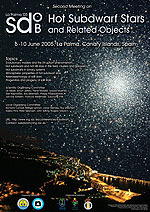 ), 2006, IAU Symposium, 241. The Nature of V838 Mon and Its Light Echo. Hotel H10 Taburiente Playa, Los Cancajos, La Palma, 16-19 May 2006. Organised by ING. Proceedings: Romano L. M. Corradi and Ulisse Munari (eds. ), 2006, ASP Conference Series, 363. NAM2006 parallel session "Astronomy from La Palma: Developments and future directions". University of Leicester, 3-7 April 2006. Organised by the Royal Astronomical Society. 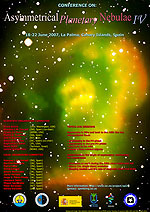 More information: Programme, NAM2006 web site. 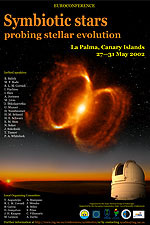 RAS Specialist Meeting: Science from La Palma - Looking Beyond 2009. Burlington House, Piccadilly, London, 14 October 2005. Organised by RAS and ING. Second Meeting on Hot Subdwarf Stars and Related Objects. Real Club Náutico de Santa Cruz de La Palma, La Palma, 6-10 June 2005. Organised by ING and NOT. Proceedings: Roy Ostensen (ed. ), 2006, Baltic Astronomy, 15. Workshop on Adaptive-Optics Assisted Integral-Field Spectroscopy. Hotel H10 Taburiente Playa, Los Cancajos, La Palma, 9-11 May 2005. Organised by ING. 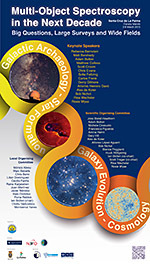 Proceedings: Rutten, R. G. M., Benn, C. R., Méndez, J., 2006, New Astronomy Reviews, 49, 487-704. ING-IAC Joint Conference: Satellites and Tidal Streams. Hotel H10 Taburiente Playa, Los Cancajos, La Palma, 26-30 May 2003. Organised by ING and IAC. Proceedings: Prada, F., Martínez Delgado, D., Mahoney, T. J., 2004, Astronomical Society of the Pacific Conference Series, 327. Mayantigo Building, Santa Cruz de La Palma, La Palma, 9-11 January 2003. Organised by ING. More information: Rutten, R., 2003, ING Newsl, 7, 29. WHT Operations to 2005 and beyond. Mayantigo Building, Santa Cruz de La Palma, La Palma, 18 July 2002. An internal workshop organised by ING. Euroconference on Symbiotic Stars Probing Stellar Evolution. Hotel H10 Taburiente Playa, Los Cancajos, La Palma, 27-31 May 2002. Organised by ING. 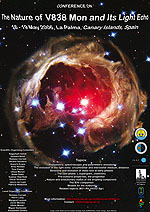 Proceedings: Corradi, R. L. M., Mikolajewska, J., Mahoney, T. J., 2003, Astronomical Society of the Pacific Conference Series, 303. A workshop in honour of Dr Paul Murdin: Science from La Palma - Past, Present and Future. Hotel H10 Taburiente Playa, Los Cancajos, La Palma, 20 October 2001. Organised by ING. More information: René G. M. Rutten, 2002, ING Newsl., 6, 29. 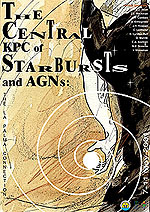 The Central Kiloparsec of Starburst and AGN: The La Palma Connection. Hotel Hacienda San Jorge, Los Cancajos, La Palma, 7-11 May 2001. Organised by ING. Proceedings: Knapen, J. H., Beckman, J. E., Shlosman, I., Mahoney, T. J., 2001, Astronomical Society of the Pacific Conference Series, 249. Hotel Taburiente Playa, Los Cancajos, La Palma, 28-30 July 1999. Organised by ING. More information: Talbot, G., 1999, ING Newsl, 1, 25. Instrumentation at the Isaac Newton Group - The Next Decade. Halifax Hall, University of Sheffield, United Kingdom, 7-9 April 1999. Organised by ING and University of Sheffield. 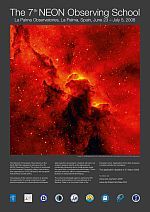 Proceedings: Walton, N. A., Smartt, S. J., 2001, New Astronomy Reviews, 45, 1. 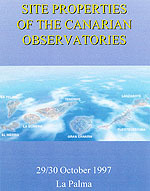 Site Properties of the Canarian Observatories. Hotel Taburiente Playa, Los Cancajos, La Palma, 29-30 October 1997. 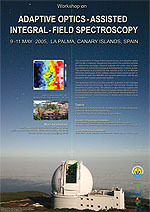 Organised by the Subcommittee of Site Properties of the International Scientific Committee of the Canarian Observatories. ING collaborated. 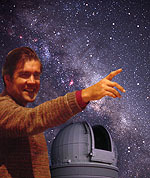 Proceedings: Muñoz-Tuñón, C., 1998, New Astronomy Reviews, 42, 395.